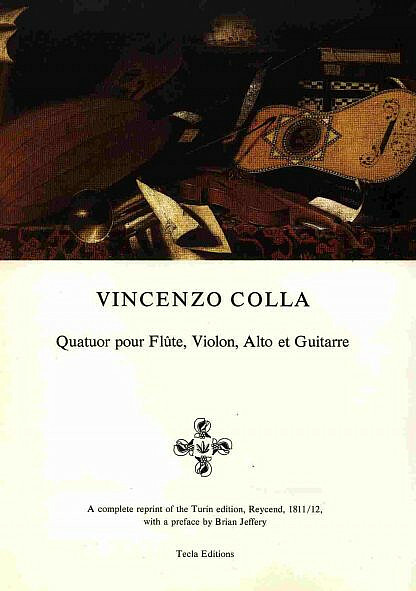 Vincenzo Colla’s Quatuor is an interesting work for flute, violin, viola, and guitar. Reprint of the first edition, Turin, c. 1811/12. Parts only, no score. with a preface by Brian Jeffery. First published by Tecla in 1986. Copyright 2003 by Tecla Editions. Errors and omissions excepted. …for top-level, authentic, reliable, and ground-breaking music editions. If you would like to be informed about new Tecla publications, please sign up here.